When and why it’s ok to “just not give a damn” when it comes to your business – and when it’s not. In the last episode of the Introvert’s Edge, Ryan Deiss shared with us how he went from a college student selling baby food recipes online, to the founder and CEO of Digital Marketer, the world’s premier digital marketing company, and how he sees introversion as a strength, not an excuse. In this episode, it’s time for some tough love, as Ryan tells it as it is. Introverted or extroverted, there are going to be times when you don’t enjoy certain elements of the work involved in building a business. The key is to be purposeful, self-aware, willing to learn, committed to pushing through, understanding what really matters – and letting go of the rest. In the digital age of websites, eCommerce stores, payment gateways, and purchases made without speaking to a soul, are introverts finally free to stop worrying about learning a sales process? 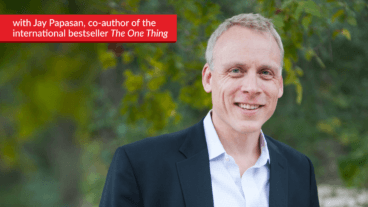 The clear answer is “no.” Ryan explains why it’s actually more important than ever to get face-to-face with your customers. Forget analytics, A/B testing, and heat maps; at least at first. The most effective way to test your products and your market is by getting out there and talking to people. Find out how Ryan spent one single day – instead of months on end – learning exactly what his customers want. Matt: Hello everyone, and welcome back to The Introvert’s Edge. 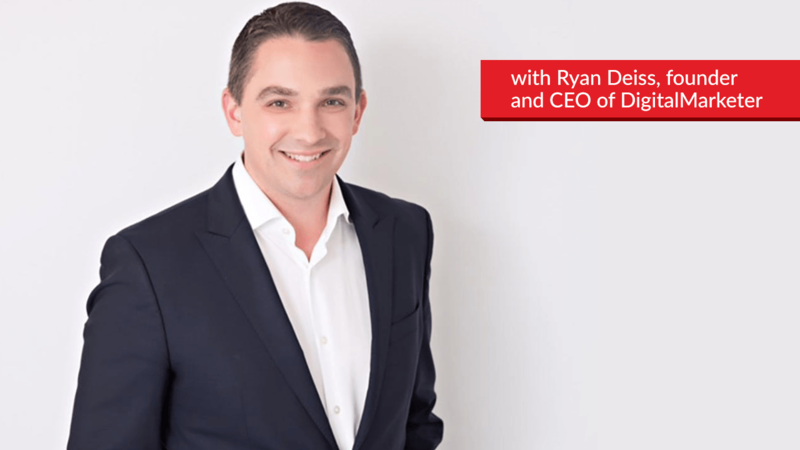 And again, I’m ecstatic to introduce Ryan Deiss – who’s shared some amazing value in the first session. And I think we’re all starting to see that Ryan is a really humble guy. And it’s that – being humble, that’s actually been a lot to do with his success. So Ryan, thank you so much for joining me again. Ryan: Thank you for having me. A lot of my – just aversion from doing certain things that I don’t want to do, comes off as humble. So maybe we’ll have a chance to get into that. I’m probably not as humble as people want to make it seem. Matt: Well then, let’s do that then. So why do you think that you have that effect? Or why do you think you coming across as humble, is actually a result of something else? Ryan: Something we talked about in part one, right? I mean much of the way that I’ve structured Digital Marketer, was – I want to put other people out front, so that I don’t need to be the one that’s out front. Yes, I love the fact that the people who are really brilliant around me – they get their– That they get the credit they deserve. But I also frankly don’t want to be the person. I mean, I remember when Traffic and Conversion Summit was– Me and my business partner Perry, literally every single session. And by the end of like a three-day event – where I’m up on stage all day for three days, I just am curling up in a ball – ’cause I’m exhausted. Taking every break, I’m out chatting with people. And it was just, it was brutal. He loved it. ‘Cause he’s an extrovert. He’s going out like drinking and partying with people at night. I’m like – I’m going to bed, it’s 8 o’clock, and I’m already asleep. So I just didn’t – I didn’t want it to keep being that. So I was always happy to put other people up there. And even on the teams. I don’t necessarily want to manage lots of people. So I want to surround myself with good, strong, quality managers. So that I’m talking to a handful of people. I mean that – that may come off looking like, “Oh he’s very humble, he doesn’t want to be the person out there leading the charge and taking credit.” It’s like, “No, I just don’t want to be the person out there.” I don’t mind the credit so much, but yeah. Ryan: Need to set the record straight – I’m an insane, delusional narcissist. Matt: Let’s actually talk about that though. Because that’s a crossroads for a lot of people. A lot of people want to take the credit, but as introverts, we don’t want to be the center of attention. So that was a logical choice for you. How do you suggest other people make that decision? 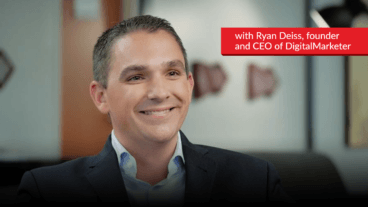 Because a lot of people – everyone sees you as Ryan Deiss, of Digital Marketer – who you are now. And go, “Well he doesn’t need all of the credit. He’s fair enough to give it away to other people.” But maybe they still need that internal validation. How did you handle that trade off, starting from your humble beginnings? And I think the, “I want to make a difference,” thing is great, everybody says that. But I mean, it’s not mutually exclusive to the other two. And when people say, “I’m just doing this ’cause I want to make a difference.” Like, fine – would you do it for free? And some people go as far as like, “Absolutely, I would do this for free.” Okay, can you do it for free? ‘Cause if the answer is, “No.” If you still need money to like eat food and stuff like that – then that can’t be your primary driver. You cannot with all sincerity say that, “The main reason I’m doing this, is I just want to make a difference.” ‘Cause I’m sorry, at some point basic – like Maslow’s Hierarchy of Needs is going to catch up with you, okay? And so you just have to decide and be really, really honest with yourself. ‘Cause I know people. I know people who are way more motivated by fame, than they are money. Truly. I mean they need to make – they want to make enough money, but you give them the opportunity to pursue a particular path that’s going to increase their fame or their status, and they’re going to jump on it. For me, that was just never the case with me. And I think it is– I don’t think that necessarily makes me a better person, ’cause that – that means I’m in it for the money. I don’t know if being in it for the money is any better than being in it for the fame. But that’s the reason that I’m working as hard as I am. And yeah, I enjoy it. I mean – I recognize that it’s not that simple. But that motivator – I see in most people – money, fame, what’s it going to be? So kind of the logical thought experiment that I went through is, “Okay, well if I’m in it more for the money – and it’s not so much for the fame – then what do I want to be?” And I remember – there was this Chris Rock bit. You know the comedian, Chris Rock? Ryan: And he’s like talking about the difference between being rich and being wealthy. And he talked about how – and this was back in the early 2000s when Shaquille O’Neal was in the league. And he’s like, “Shaquille O’Neal is rich.” Now though, of course – Chris Rock, “The white guy up in the owner’s box is – who’s paying Shaq’s salary is wealthy.” And so for me – I always more wanted to be the owner up in the box, watching things happen. I never wanted to be the race horse, I wanted to be the owner. No, no, no. You don’t get to do that. In the beginning, you’re the one that’s out there, you’re the one that’s hustling, you’re the one that’s doing what you have to do. But just because that’s what it is in the beginning, doesn’t mean that’s how it has to be forever. And so I was very, very intentional of saying, “I’m going to do this in the beginning, because I have to. But as soon as I don’t have to – I’m going to figure out what are the things that I really don’t like doing? And typically, the things that we don’t like doing are also the things that we’re bad at. Not always, not always. I don’t particularly enjoy public speaking, but it’s something that I’m pretty good at. So I do it. It benefits the company – it’s high enough leverage, so I do it. But there are a lot of things that I didn’t enjoy, and I was bad at. So I just started right from those saying, “I’m going to get somebody else to do this.” And that was really how the company grew. But it started with just having acknowledgement of, “I’m not in this for the fame. If I’m not in this for the fame, then I want to be an owner, not an athlete,” right? I want to be a producer, not the star – right? I mean there’s so many – if you look at every category of entertainment, right – there’s always the owner, the producer, the director – and then there’s the star. Most of us resonate more with the star, at least in the beginning. But I wanted to own the production company, right? I wanted to have the name in the credits, the person that’s getting the big pay check. But I didn’t want to be the person who was on screen. So I was very deliberate about thinking what are the things that I don’t enjoy, how can I get somebody else to help me with this? Matt: I think that’s really valuable, Ryan. And I think the other thing is that – you talked about the fact that you made the decision that you wanted to make money. And I mean, you’re – it’s a business. We have to be okay with saying that we want to make money. I mean the goal is – we’ve got to look at where we get our internal motivation from. And if our internal motivation is about being the celebrity and going towards fame, well fair enough. And we need to earn enough money to survive while we’re building our fame. But if our goal is that we want to create a happy life for our family, and we want to give money to Greenpeace – and whatever you want to do with the money. But if you want to be able to make that decision, and the business’ goal is to money – that’s okay too. Ryan: It’s necessary, if it’s a business, right? I mean I think that’s critical. Your business could also decide to do some other things. And as you said – what you choose to do with it once it’s made is obviously up to you. If you want to make a bunch, and give it all away – that’s completely fine. But if you’re going to operate– If you’re making the decision – which is – that’s who we’re talking to, right? I mean we’re talking to entrepreneurs and business owners right now. So if you’re making that decision that that’s what you want to do, and money is not a factor in it – then you’re doing the wrong thing. I mean truly you’d be much, much happier – and there’s nothing wrong with it. Of saying, “I want to align myself with somebody else’s dream. With somebody else’s vision.” Come alongside them, and help support that. But does anyone want to start a business when I’m not in it for the money? I think is just – I mean, it’s at best a bad model. Matt: Well you’re running a charity almost really, aren’t you? Ryan: You’re running a charity without the tax benefits. I mean there’s – there’s so many things that don’t make sense about that. So I mean – yeah, if you’re– If you’re going to run a business, then you have to be about the money. Because the people that work for you – they’re working for you for money. And at some basic level, right? They need to eat. They’re not working for you for free. So I mean – you can’t completely divorce those two things. And that’s why I think at the beginning you have to say, “I want more. I want to build something that somebody else hasn’t built, or that they’re not doing right now. So that means I’m going to have to work harder. It means I’m going to have to do things that I’m not necessarily comfortable with. But with that should also come some additional rewards. ‘Cause make no mistake – if you start a business, you’re taking additional risk, and you’re working harder than someone who doesn’t do that. So you deserve to have certain rewards. And for me, a base level reward is, “I just don’t want to do the things that I don’t like to do forever. I’m willing to do them for the short term. I’m absolutely willing to do it. But I don’t want to have to do it forever. I have to know that there’s a light at the end of the tunnel. And so – if you can bake that in, then you’re going to be in good shape. Matt: I’m 100% with you, and I make the same decision all the time. So I will create videos, because that leverages me. It means I don’t have to have a thousand conversations, I can just have a thousand views. So it’s about making that logical choice to unemploy yourself. Because if you own the business and you’re unemployed, you’re still making money. And that’s a really positive thing. Now let’s talk about the things that you may not be comfortable doing, Ryan. Like you said at the start, that you had to do things that weren’t comfortable. And some of them you perhaps weren’t even good at. And let’s talk about – did you do anything to try and better yourself? 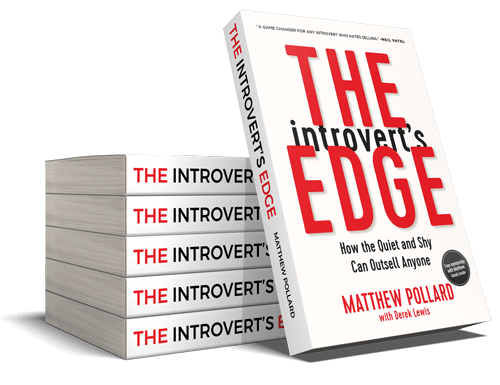 Did you gravitate to trying to be more – behaving more extroverted? Did you find techniques that worked for you? How did you come across – I mean, we talk about public speaking and networking. What were some of the strategies as an introvert that wasn’t naturally good at these things? What did you do to become better at it? To me, I’m very uncomfortable. I’ll meet these people, that they want to go really deep and really intimate really quickly. That freaks me out. I don’t like that. So I never wanted to be that. But I also just abhor the, “How about the weather?” I’m like– Right? “Let’s not do this, we’re faking it.” So I would force myself at the beginning to say, “I’m going to meet at least two new people that I haven’t met before. I’m going to start up conversations. That’s going to be hard, but it only has to be two. And when I’m done with two, I can leave.” So I’d give my permission, myself permission to leave after two. Now if something really got going – then great, I would stay. And that’s usually what happened, right? ‘Cause momentum is a powerful thing. But I would say, “I’m going to start two conversations.” And a conversation means, I ask them at least five follow-up questions about themselves or whatever the topic was. So I had to – that meant that– That when I engaged in the conversation, I had to be listening closely. ‘Cause sometimes I’ll get in my own head, and I’ll ask a question. Like, I don’t know about you – I’ll ask people their name. And then immediately forgot what their name was. I won’t even listen to the answer, right? Just kinda washes over me. Ryan: So I’d go up to them. “Hey my name’s Ryan, how it’s going? What brought you here?” That was usually my opening question. So now I had to listen to their answer, and figure out – okay, what’s a follow-up question? In my head, I’m sitting there counting. I might even have my hand in my pocket, and I’m like kind of – 1, 2, 3 – trying to keep track. And what was amazing is – by the time I’d get to five, it was just a real live human conversation. And it would work out just fine. And then I’m in it, and I never have an issue talking and hanging out with a friend. My problem is I don’t want to talk to groups of people or go and meet a bunch of strangers. So that was kind of the trick I did in that – networking situations – two people, five questions. And then in speaking engagements – again, I never had a hard time really speaking from stage. I didn’t – I think that being an introvert and being nervous about speaking are really kind of two different things. I have a hard time – for me it’s – like I said, it’s harder speaking to a very, very small group. But doing a stage presentation, that’s just a presentation. There’s a sea of humanity out there. And they’re too far away to like stab you and sell you drugs. Which is what all strangers want to do. I learned that in school, right? So for me, I wanted to – number one, I really prefer to speak at events that have a backstage entrance. Because if I’m waiting in the back of the room, and people are talking to me – it’s really, really hard. And if – when I leave, and I’m done talking – I need to go down and everybody’s waiting around and asking questions. Again – really, really difficult. I’ll do it, but I prefer the comfort and safety of a stage. So now usually when I speak, I prefer to speak at larger events. Larger events tend to have stages at the back entrance. And if I’m going to do Q&A, I prefer to do Q&A publicly. But the biggest thing about speaking – the biggest trick that I had, was really just a mindset shift. Which is, “They’re not here for me. They don’t care about me. They really don’t. I could do a bad job. I could do a great job. They’re going to utterly forget about me tomorrow. And if I’m boring, they’ll forget about me in a matter of seconds,” right? But really, really good, really, really bad – I’m still vapor in their life, in a matter of hours. So I’m – again – very deliberate. If I’m speaking at an event, I want to know – what’s the make-up of the audience? What’s the topic? I’ve had people show up to speak at Traffic and Conversion Summit, and not even realize that it was a digital marketing event. It’s like that’s what people want. Like talk about that. I’ve had – we’ve had speakers break into their normal, boring keynote. And I specifically said, “Hey, talk about how you leveraged digital marketing in that.” And they didn’t. And I remember how much that irritated me. Because when you speak – you speak not for yourself, not for your brand, not for whatever thing you may even want to sell then or down the road. You speak to deliver value to the people that are there. And so if you spend way more of your time focusing on who are they, why did they come, what can–? How can I connect some of what I know to them? Then you’re not thinking about yourself. You’re spending so much time thinking about them, that you don’t have time to think about yourself. You don’t have time to worry about yourself. So now when I speak, it’s basically just – I don’t think about me. I don’t worry what I’m saying, and what I’m doing. And if I look stupid, or I say the wrong thing – I don’t really worry about it or care. And I found that nobody else does either. And what comes out is like, “Wow, this person genuinely seems to want to deliver value.” There’s times when I do a better job than others. But I know my intent. And as long as I know my intent, I don’t get nervous. ‘Cause I can’t fail. I can’t fail completely. I can do a better or worse job, but I can’t fail if I really genuinely and sincerely try to deliver value. And if that – my focus is there, then it’s not on, “Do I look dumb? Did I stumble over that word? Did I forget a part? Is my zipper down?” All those things kinda go away. Ryan: I do, I do have a little check that I’ll take every time. Matt: So I’ve had the occasional time where I’ve gone onstage, and I’m like, “I haven’t done the check.” Do I do the awkward check when you’re on stage, or do you just go through the entire stage presentation? Ryan: And you awkwardly touch yourself on stage, in front of thousands of people. Matt: Yeah. Not always a good look. And always the time where everyone catches it on video. So no, I would not suggest that to anyone at home. Ryan, let’s transition for a second into selling. Because you earned your living out of sending emails to people and using online as a forum for sales. A lot of people love this new world of digital marketing, because it means that they can be at home on their laptop and not really have any contact with people. Do you feel that in today’s world, we can avoid the world of sales altogether? Or do you feel that it’s still important that we understand the processes and the systems behind selling? Ryan: You have to understand the processes and systems behind selling, and you can’t avoid talking to human beings. I think if anything, it’s moving back – more that direction as a company. I mean I know at Digital Marketer – one of the metrics that we track is value per conversation and cost per conversation. So how much does it cost to generate a conversation? So it’s CPC, but it’s not cost per click. We track that as well. But I want to know. How many conversations? A real live conversation via Facebook messenger, a real live conversation via text. And yeah, real live conversations via the phone. And then what’s that worth to us? Now – again – I don’t want to be the one having those conversations. So that’s why we built a sales team. We built – have a monetization team. Where salespeople – who either enjoy having those kind of conversations, or who just are willing to do it. Our number one top salesperson is an introvert, right? He is an introvert. But still enjoys the process of selling. And he’s trained himself to do the things that– I mean the people I know who are in great shape, just love working out all the time, right? They do it because it’s good for them, and they’re good enough at it that they derive some meaning from it. But I remember at Traffic and Conversion Summit two and a half years ago, when we were first coming out with Digital Marketer HQ, which is our product offering where we put all of our certifications in one place. So if you’re a team, you’re a manager – you can go in, you can get this for your team. Get them fully trained on all the different aspects of digital marketing. They figure it out, so you don’t have to train them, right? That’s the basic offering. So I sat back at the Digital Marketer booth for an entire day, and had literally hundreds of conversations. It was miserable. Like you could not think– Like if you were to come up with a worse scenario for me, it would be – I can’t imagine what it would be like. It would like involve like snakes and clowns in my face. I mean, it would be terrible. This was about as close as one of the worst things that I could ever imagine. And yet, I knew that if I did not talk face to face, toes to toes, nose to nose with our customers – I was going to be guessing at what they actually wanted. But in that moment, if I could have literally 100-plus conversations and I could short cut all the messaging that needed to be built into the marketing – down from months to a single day. So I was willing to do that. And that’s exactly what I did. And in that one day I figured out, “Okay, this is our ideal sales conversation. Okay, this is the avatar of the people that want it.” I know that, ’cause I had 100-plus conversations. And I think that more business owners – I don’t care if you’re an introvert, extrovert. I really don’t freaking care. If you don’t talk to at least 30 – if you don’t have at least 30 conversations with prospects and customers about your product, then I guarantee you’re going to be a terrible marketer. Or if you’re good, you got lucky, alright? You got lucky. And you’re not going to be as good the next go around. Well I was able to do that, because I talked to 100 of you guys, right? And at the end of the day, humans are remarkably similar. And you talk to the same type of people, they have the same types of problems. So it’s not magic, but I was willing to put in the work. And then we built a team who actually liked talking to folks, and I could relay what those conversations were. So yeah, you can’t– I love digital marketing as much as the next guy. But if the phone rings and it’s a customer, I’m happy to talk to them. And I think that’s part of the reason we’ve been successful. Matt: Thank you for sharing that. Because I can’t tell you how many times I work with new entrepreneurs. I mean, I’ve volunteered to judge Google Startup Weekends and AngelHacks. And I’ve spoken to so many people that have been in business for ten years, and they can’t get success. And I ask them how many customers they’ve spoken to. And the answer is none. They go out and they spend two or three years building their online website, worrying about their automation. And they’ve never gone out and validated it with a single person. And I agree. I don’t want to have conversations with people all the time. But your one conversation with 100 people over and over again – yeah, I get it – it would’ve been horrific. And I’ve done the exact same thing. I spoke to 50 people before I wrote the sales copy for my Rapid Growth Academy. Because I wanted to understand who my client was, and exactly how to say things in order. And I cut ten years’ worth of A/B testing and analytics out of the process by just doing that. And for people that are starting new products – you could go and speak to 20 people and find out that 20 people are just not interested in it. And you save yourself a lot of heartache. So I’m so glad that you said that. ‘Cause you are like the digital marketing go-to person. And so people would naturally assume that you would say, “Just focus on online, and you never have to.” So I’m glad that you shared. Because it can save people a lot of heartache, and a lot of time. Ryan: I would never just rely on online data and research analytics and all those things. I would never launch a new product without talking to at least 30 people. I mean it’s just – it’s a rule that I have. It’s what I’ve always done. I never liked it, I still don’t like it – but we still do it, because it works. And I think if you’re unwilling to do that – then there’s going to be a lot of other things in business that are a lot harder than that, that you’re going to be unwilling to do. Better to figure it out now, and just – again, go work for somebody else. There’s nothing wrong with that. Nothing at all wrong with that. With just saying, “This isn’t for me.” Or maybe there’s – you just don’t want it badly enough yet. So cool, go work for somebody else. Go get paid. Learn in the process. Figure some great stuff out, and then give it another go. But yeah, I mean – I can’t imagine– And I think a lot of people, even people who aren’t introverts, they don’t want to have those conversations. Because they don’t want to be told that people aren’t really interested in their product. So similar to what I said about – if you’re doing a stage talk. Get really serious, and be very, very thoughtful about what do they want. Not so thoughtful about how do you look, and what are you going to get from it. That’s – to me, the number one secret to reducing anxiety on stage. I think the number one secret to business success overall is to fall in love with your customers. Fall in love with your market, not your product. And if you do that, then you’ll seek to serve them. If you do that, if it turns out that they don’t like your product – you won’t take it personally and be like, “No, you’re stupid,” right? You will realize that either you got your messaging wrong or maybe you’ve got the wrong angle. Don’t fall in love with your product, fall in love with your customers. Be willing to talk to them, even when it’s hard. And yeah, be willing to do the hard work. Just ’cause you don’t like to do it, doesn’t mean that you’re absolved from it. It just means that if you work hard enough, and you have enough success – you eventually get to opt out of it. I don’t like mowing my grass, and I don’t do that anymore either. But you know what? Before I could afford to pay somebody else, I mowed my own frigging lawn. So I think the same thing applies to business. Matt: That’s awesome value, Ryan. And yeah – you’re right. I mean, when you’re going into business it’s going to be painful at the start. But the pain has to be worth the gain. And if you’re not willing to have a few painful weeks, a few painful months – or maybe even a few painful years as you scale your business – it’s not for you. And there’s nothing wrong with being an employee and helping somebody else, and clocking off at 5 o’clock, and saying, “I’m now going to go spend some great time with my family. This weekend, I’m not going to work, I’m going to go out to the lake with my friends.” There’s nothing wrong with that. I know these days we’re sitting in this world where entrepreneurism is kinda that new cool word. But that – you’ve got to work out whether the trade-off is worth it for you. For me – for Ryan – it clearly is. Because for us, we’re willing to do – or we’re willing to do the hard yards, and do what people wouldn’t. So we can live the life that perhaps people can’t in the future. However, for you – you’ve got to make that decision. And that decision applies to even the things that you find uncomfortable. And even the things that perhaps you may not be good at. But you want to have a successful business, and you know you need to do. Ryan, there was one last question that I wanted to ask you, before I ask you the big question, which is – what’s your introvert’s edge? But I want to ask you – a lot of people still try to get to you. And people say, “I want my– I want contact with Ryan.” And you’ve put all these other people in place. How do you decipher which people you speak to, which people you don’t, and what things you action? Ryan: For me, that’s really, really simple. A lot of people think that that could come off as very standoffish. But I have a wife and four children, and they get first dibs. And then I’ve got – I have the team that’s around me, that I want to develop them. And that just doesn’t leave a lot of time in the day for other people. So I mean, I have very specific– I mean, people – my email address is get-able. But I feel no obligation to respond to emails that come to me. And that may come off as sounding rude. But I feel no obligation to answer my phone when it rings, from somebody that I don’t yet know. So I do put in certain toll booths. I mean, if somebody comes as a referral from somebody that I trust – then yeah, they could potentially cut in line. If somebody invests really, really heavily in something that we’re doing. I mean, we have mastermind groups and things like that. That’s a way to cut in line. So I think it’s important to remember, you’re not being rude when you kinda shut– And you’re not shutting out the outside world. I just call it prioritizing. And I have 24 hours in every day, just like everyone else does. 365 days in a year. And I start out at the end of every year sitting down with my wife saying, “Okay, what days do we want to take family vacations?” We don’t have to know where we’re going, but let’s block that off, right? We block off when we’re doing certain events. We block off when we’re doing executive retreats. I block off when I know I’m going to need to work on things. It doesn’t leave many just free days left. So for somebody to get access to even an hour within some of these days, it’s tough. And yeah, I do – people do need to jump through hoops. I used to feel bad about it. I don’t anymore. Simply because I like my wife and children and my friends and the people that work here better than somebody who’s a stranger. ‘Cause I don’t know them yet. It doesn’t mean that I’m not willing to meet them. But yeah, it is going to be a little bit harder. So the main thing I think, you need to absolve yourself of that if you’re out there. But do take time. Do leave time out to help people where it is inconvenient, and where you don’t have a specific objective. If – and so I will make sure that I leave time, and I will make sure that every now and then if there’s somebody that I meet or run across, and I can help them – then I do make the time to do it. I’m not always able to do it, and it is fairly random. But that’s how you do stay human, and that’s how you do stay close to and attached to those different things. But don’t allow yourself to fall victim to the, “Oh I have to respond to everything.” Or, “I have to – I have to speak anytime I’m asked, I have to do this.” You can’t. And you won’t, and you will fail. And I’ll tell you the people that you will let suffer will be those closest to you, those who love you the most. Because they will give you the most room to hurt them. And ultimately, the person you’ll hurt the most is yourself. ‘Cause you’ll give up on your health and all kinds of other things. So you have to be protective of that, and you have to carve that out. So yeah, I have people that – that around me, everything gets filtered through them. I need to make sure that if I’m going to do something, it’s a referral from somebody that I know – either in the company or without– I mean, the way that you got to me is by first getting to know people at Digital Marketer. So it’s no great big secret, and there’s lots of people I know who we do business with. Who – again – they sponsored our events for years, and helped us out in other ways. They went first. And I sought to give back to them. There’s no big secrets there, but it does require either time or money or both. And that’s how everything is. Matt: Well I think that the major takeaway I’ll take from that is – not to feel bad about saying, “That one doesn’t take priority over going on holidays with my family like I promised I would.” Or, to say that I’d be back home by 5 o’clock. You set yourself some rules, and you stick by them. Ryan, look, you’ve given some amazing value to the listeners today. I want to ask – you’ve clearly demonstrated a huge amount of competency and success in everything that you’ve done. What would you attribute though as your – what we call the intovert’s edge – your main ability that you think – if you could pick one, what’s been the major driver towards your success? Ryan: I mean, for me – if I were going to use one word, I think – and this is going to sound a little bit silly, so allow me to elaborate. But it’s apathy. I really – when I find myself freaked out about something, I have to – then I have to ask myself, “Does this merit the anxiety that I’m giving it?” And very quickly, what I’ve learned is that – if it’s not about my wife or my children, then it simply does not deserve any real– Any, much of my emotion whatsoever. I decide what is going to make me happy, tremendously happy or tremendously sad. And if it isn’t some of those things, then I don’t let it do it. And so while I may be an introvert by nature, I’m always willing to put in the work. Because I just don’t care about looking foolish. I just don’t care about the fact that it’s hard. Cry me a river. If I want it, I want it. I don’t – I’m not a slave to my initial default setting. Matt: I think that’s hugely valuable. I mean – I think back to the first girl I wanted to date, and how incredibly important it was to me right then. And I don’t even remember her name now. Those things – as you said, they’re just myths. That’s the things that don’t really matter. So I think you’re right. Really look at the things that are causing you stress and pain, and work out whether the pain’s worth the gain. And if it is – just do it. Because that fear will go, but you’ll never forgive yourself for either not doing it, or you’ll never forgive yourself for doing it. The amount of times my father has got me out of things by – I’m really stressed about something, and I’d explain it to him. He’s like, “Well why are you doing it then?” And my answer has always been, “I charge in.” But every now and then, him saying, “Why are you doing that? It doesn’t actually matter.” You’re right, I don’t need to do it, and I can step away. And it could be the speaking event that I was worried about flying between here and here to do, and I just didn’t need to do that to myself. So I think half of the – being successful – is being willing to say, “No.” And being willing to evaluate – not just charge into everything, but not also – to back away from everything. So Ryan, look – I really appreciate you sharing so much detail with the listeners today. And I know this is a very different topic for you to talk about. 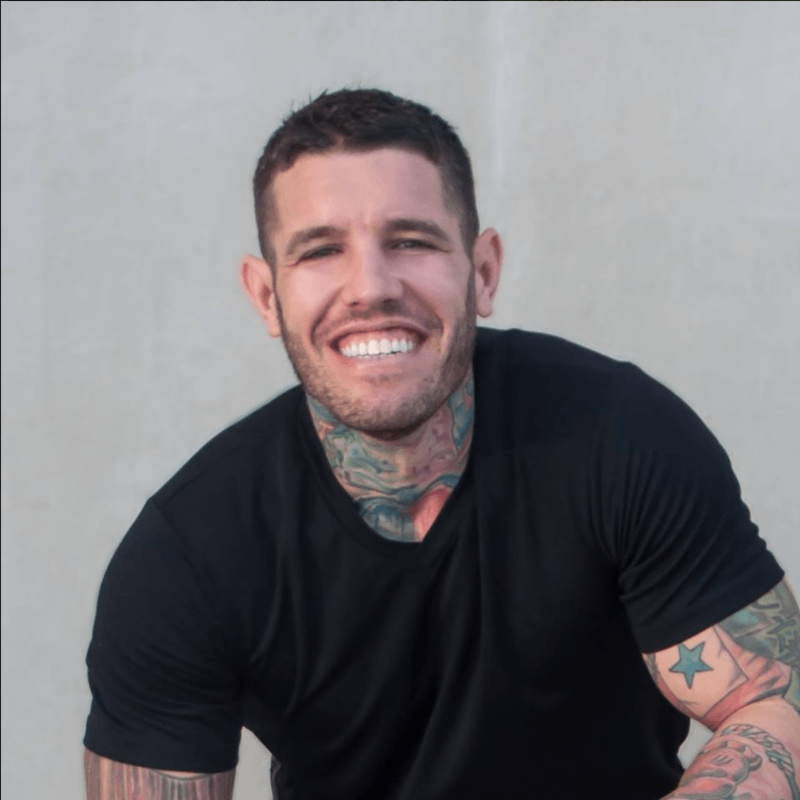 And I really appreciate you giving it the time – to really help so many people that are struggling with their introversion and sharing so honestly how you dealt with things, and how you’ve managed to make yourself a success. Not despite your introversion, but because of it in a lot of ways. Ryan: Yeah, I appreciate you writing the book, and getting the word out about this. And hopefully – if nothing else, it will cause people to stop using what can be a very good thing. What can be their edge, as an excuse to hold them back. So if we accomplish that, then I think it’s time well spent. Matt: Thank you. Well Ryan, just – for the people that are listening that don’t know who you are, if there’s still people like that that exist. How do people find out more about the things that you do, and where would you suggest people get started with the stuff that you do? Ryan: Sure, digitalmarketer.com. Go check it out, that’s our home page. We’ve got a blog there with lots of great, free information and content. Down – if you go to digitalmarketer.com and scroll down, we’ve got some of our top posts. Click on any one of those, and you’re going to – I think be happy that you did it. Matt: Fantastic, Ryan. Well look, thank you again for your time. And to everyone that’s listening today and watching today – I hope that you got some amazing content. I know that I definitely did. I learned a lot of stuff myself. So if you enjoyed this episode, please make sure that you review it in iTunes, you subscribe so that more people get the opportunity to find out about this podcast and the information that can really help them become successful as introverts in business and in life. But thanks for joining us today, and I look forward to seeing you in the next episode. Cheers.